Before any message would go to the seven churches, Jesus presented Himself to John in a spectacular personality. The symbols He employed were encoded messages to the churches about how He would want them to perceive Him, but more importantly, to affirm His supremacy over the imperial Roman regime. Revelation 1: 11-20 sets this Christological images in motion. 1:11 I am Alpha and Omega, the first and the last; and—Other old manuscripts do not have this expression. Most English Bibles, including NIV, NLT, ESV, BST, NASB, etc. omit it. 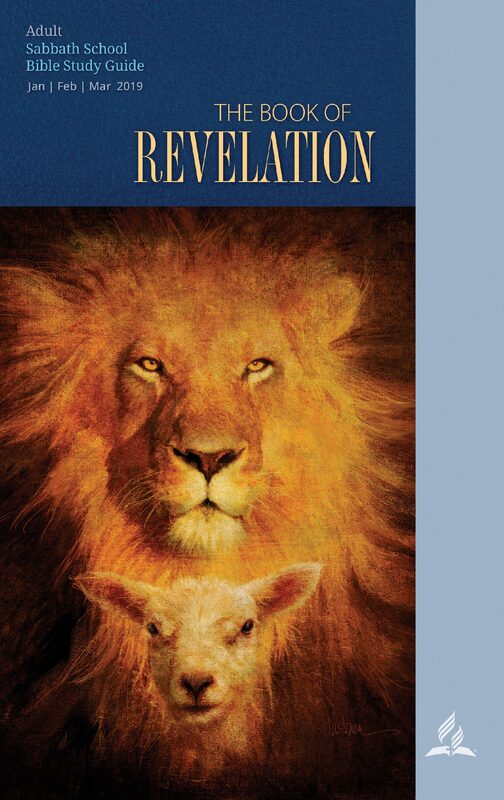 The only justification for this omission may be a seemly assumption that the title is used in connection to God alone in the Book of Revelation (1: 8; 21: 6; 22: 13). Write in a book—John is not called to behold only the vision. It must be preserved in a book. The same instruction is repeated in 1: 19. The seven churches include—Ephesus, Smyrna, Pergamum, Thyatira, Sardis, Philadelphia, and Laodicea. There are no clues in the book of Revelation as to why these seven selected churches. But it’s quite clear from Christ message how their spiritual deficiency needed attendance before the impending crisis. 1:12 The moment—John participates in the vision. He hears and sees things not in the ordinary world but in the spirit. Seven golden lampstands—Lange explains the “lampstands are not identical with the seven-armed candlestick (the so-called menorah) in the holy of the tabernacle or temple (Ex 25: 31-39). These are individual lampstands symbolizing the seven churches (1: 20c) and among which the son of man stands (1: 13)” (Revelation DIY2, p. 8). The vision is a preview of Chapter 2 where Christ identifies Himself with the seven Churches by the phrase, “I know your works.” But more significantly, Jesus amid the seven golden lampstands implies also how He and His churches have taken centrality of the worship system. Then I arose and stood and I saw a great angel standing before me with his face shining like the rays of the sun in his glory, since his face is like that which is perfected in his glory. And he was girded as if a golden girdle were upon his breast. His feet were like bronze which is melted in a fire. And when I saw him I rejoiced for I thought the Lord Almighty had come to visit me. I fell upon my face and I worshiped him. He said to me, Take heed. Do not worship me. I am not the Lord Almighty but I am the great angel Eremiel who is over the Abyss and Hades, the one in which all the souls imprisoned from the end of the flood are which came upon the earth until this day. (Apocalypse of Zephaniah 6:11-15). It is quite explicit to realize the connection between the apocalyptic images and Jewish traditions. Every student of Revelation should not miss the contextual backgrounds to the descriptions in the vision. “The globe represents world dominion and power, while stars typically bespoke the divine nature of those accompanied . . . the infant depicted on the globe was the son of (a) god and that the infant was conqueror of the world. John’s recipients would have no difficulty deciphering the messages behind the symbols. And once again, there is an obvious reason why the book was codified in symbols. For more on the seven stars, read “The King and I: The Apostle John and Emperor Domitian, Part 1” by Gordon Franz. Out of his mouth—That is proceeding out of his mouth. This expression is common in the book of Revelation. We read from Rev 16: 13, “And I saw three unclean spirits like frogs come out of the mouth of the dragon, and out of the mouth of the beast, and out of the mouth of the false prophet.” Out of the mouth of the dragon (12: 15, 16), out of the mouth of the beast (13: 5, 6), and out of the mouth of the false prophet (13: 11). A sharp, double-edged sword—The double-edged sword is given more significance in the fight against the false doctrines of the Nicolaitans in the church of Pergamos (2: 12-16). See also 19: 15, 21. His face was like the sun shining in all its brilliance—Quite theophanic. This recalls the glory of God in the form of the Shekinah. See 21: 23 and 22: 5. 1:17-18 I fell at his feet as though dead—John recognizes the Lordship of Christ as he falls prostrate before His feet. The text does not say the brightness of Christ caused John to fall (compare with Acts 9: 4). This act of prostration was the Jewish expression of reverence and very recurring in the book of Revelation (5: 8, 14; 7: 11; 11: 16; 19: 4, 10; 22: 8). I am the First and the Last—This statement parallels the attribute of God as the Alpha and Omega in 1: 8; 21: 6; 22: 13. It shows how the Son shares in the divinity of God. I am the Living One; I was dead, and now look, I am alive forever and ever—The resurrected Christ reaffirms the reality of the resurrection. This, later on, becomes an assurance to the persecuted church in Smyrna (2: 8). Holds the keys of death and hades—My friend Samuel Sarpaning comments that “In the Greco-Roman mystical tradition, Hekate is believed to hold the key to the grave or Hades. This self-proclamation of Christ reveals His victory over the power over the grave and has therefore rescued the key to Hades from its bearer Hekate and also reveals that he is the beginning and the end which was another attribute of Hekate” (Revelation 1: 10-18—A commentary). 1:19 Write—John is instructed to write three things, “what you have seen, what is now and what will take place later.” The dimensions of the vision involve past, present, and future. The time frame for the fulfillment of the vision beyond John’s immediate context. 1: 20 The seven stars…seven golden lampstands—The prophetic interpretation is given by Jesus himself. “The mystery of the seven stars that you saw in my right hand and of the seven golden lampstands is this: The seven stars are the angels of the seven churches, and the seven lampstands are the seven churches.” In Revelation chapter, we shall focus entirely on the seven churches. Previous Why was the book of Revelation written?